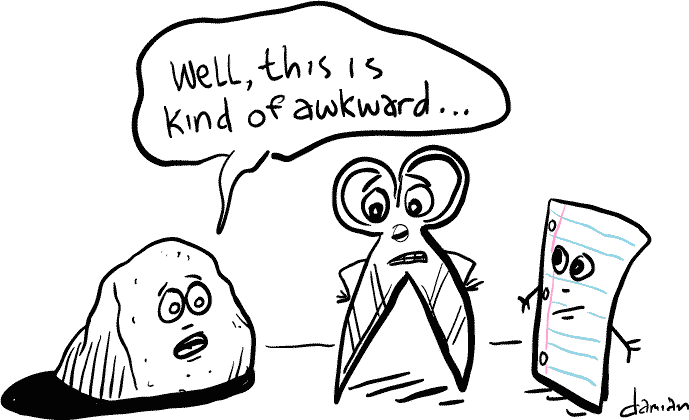 Some people just don’t get along—it’s inevitable. With all the difference in personalities of the people all across the world, it’s no wonder we find people whose interests and values differ from us. In workplace situations we are faced with this dilemma occasionally. I know I’ve been in positions at school and in a work environment team and have found myself butting heads with others. It’s like some people just don’t mesh, like a water and oil analogy. A big issue that people have when facing conflict is finding a proper compromise or solution. When facing a given problem, everyone feels like they deserve a just result. Regardless of any differences in our personalities, all people like to be treated fairly when a dispute arises. Being equitable and promoting justice in the workplace can improve morale and attitudes of the company’s staff. The way a conflict is handled means a lot to an individual. I personally like to know that my opinion matters, and when I have a conflict at work, it’s important to me to have the issue resolved in a procedurally just way. Making sure that procedurally sound a just ways of dealing with conflict is hard but important factor in running a successful business. In the workplace, if there are conflicting ideas of how to continue with a task, good and bad outcomes can emerge. Some conflict can be good and help produce better ideas and solutions. Since all people have different ideas, the more solutions that are given to a particular task can make for a greater pool of innovation to spark a greater and well rounded result. However, if a compromise with all these ideas cannot be created, an interpersonal strategy for solving the conflict must take place. There is an interesting figure (shown below) that takes into account ones concern for others and ones concern for oneself in interpersonal conflict situations. This figure was created by M. A. Rahim. It shows that compromise is really the middle ground, and how breaking down and analyzing ones concerns can be beneficial in finding compromise. In legal disputation matters that occur at work, third party conflict resolution methods can be useful in accomplishing this tedious task of resolution. Mediation and arbitration are good ways in which a third person can intervene when a dispute arises. In British Columbia, mediation is used to settle matters of dispute in an informal way, where negotiations can take place with the help of an unbiased person. A settlement has to occur in this negotiation process, as the point is to find resolution without going to court. According to the Dispute Resolution Office of British Columbia, mediation is best used to when disagreements involve legal aspects, such as contracts and claims. Using this method allows for clarity and respect in the negotiations process. It may also help bring to light issues in which both parties have overlooked or not fully empathized. Arbitration is the next step, if mediation fails. Arbitration serves as a more formal way to come to a conclusion between disagreeing parties. As a result, the disputing parties only present their claims, and are given a legally binding conclusion. There are no terms of negotiation in this process, so it’s a better method to be taken as a last resort if mediation doesn’t work. Personally, I feel that when an employer and employee have a dispute, the best way to deal with it is using an unbiased third party that can help assist in the negotiation process. Doing so can avoid court costs and delays and in turn it creates a way to really discuss the issue. While arbitration is good to come to a conclusion if no compromised can be made, mediation serves as a better way to really preserve and maintain the relationship between two disputing parties. As always, it seems that communication and understanding is the key to coming to a fair and equitable resolution to any conflict, whether it be work related or not. It is vital to understand your own concerns, as well as the concerns of person in which you are in conflict with to come to a true compromise. Rahim, M. A. (2002) Toward a theory of managing organizational conflict. The International Journal of Conflict Management, 13, 206-235. Tjosvold, D., Wong, A. S., & Wan, P. M. (2010). Conflict management for justice, innovation, and strategic advantage in organizational relationships. Journal of Applied Social Psychology, Vol 40(3) , 636-665. In any setting or environment, many forms of communication take place. 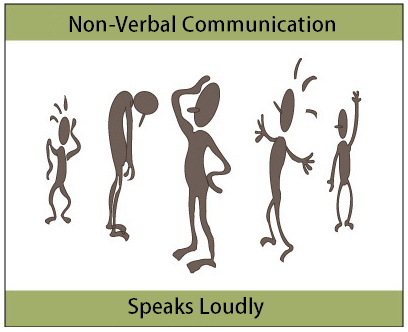 We usually emphasize verbal communication because it’s the most apparent way of interacting with others. However, the way we perceive nonverbal cues can be very important in fostering and maintain our relationships, whether they are personal or work related. I know that I personally have been known to over analyze nonverbal cues, as I pick up on any hint of discontent by another being. However, properly interpreting nonverbal cues can be a confusing process, but in doing so, we can create deeper connections with others. Non verbal communication can be present in our facial expressions, body language, tone of voice, gestures and eye contact. They relay very important messages to the receiver, as their primary focus is on portraying a person’s emotional state, or attitude about a certain situation. However, it is vital to understand how to interpret these cues. It’s funny to think that we even subconsciously pick up on other people’s non-verbal communication. This subconscious perception can be a powerful influence on how we treat certain situations. Nonverbal cues can serve many purposes. They can either repeat the message that is verbally portrayed or contradict this message. As well, non verbal signals can substitute for verbal communication completely. This is done solely by portraying ones feeling or attitude through body language and facial expression. Nonverbal cues can also complement a verbal message, like a th umbs up after receiving verbal praise. There are differences between genders and their degree of interpreting and sending non-verbal cues. A stereotypical feature is that women tend to not verbally express what they mean, but men are expected to pick up on these non-verbal cues. It has been shown in studies however, that women are moderately better at sending and receiving nonverbal signals. This can create quite a conundrum between the two sexes in their perception of wants and needs. Women, as a result, send stronger nonverbal cues and expect men to interpret them, like the classic situation of a man asking a woman if everything is alright, and her disdained reply of “I’m fine”—which can be interpreted differently whether the receiver is male or female. A women would perceive the “I’m fine” speech, with its correlated tone and facial expression as just as important as the words themselves. As a result, a woman would pick up on the actuality of the situation, that the woman is not truly fine, even in saying so, as she is sending a contradicting nonverbal cue. However, a man may hear “I’m fine” and interpret it as just that, the woman is content. Men tend to disregard some nonverbal cues, and put the emphasis solely on verbal communication. In regards to gender differences in the use of non-verbal communication, it has been found that women are more likely to break eye contact more frequently than men, but men are less likely to make eye contact at all. I assume, with discussion from friends of both sexes, that this is because females like to be polite in having their full attention given to a conversation, which is relayed through the use of eye contact. However, eye contact is broken easily as females do not want to stare as it can be seen as impolite. Males however, may find eye contact unnecessary or intrusive, and as a result refrain from using it most of the time. One article by Edward Hall relayed that women approach people more closely, and prefer side by side conversations. Men, in turn, prefer face-to-face conversations. Overall, we must take into consideration how each gender values various forms of communication, and to what degree they will be able to perceive different cues to fully appreciate all forms of communication we are able to receive. Understanding these cues is vital in any environment to create deeper and more meaningful connections with other human beings. Ivy, D., and Backlund, P. (1994). Exploring gender speak: Personal effectiveness in gender communication. New York: McGraw-Hill. Hey everyone! This is my first blog post—ever! When thinking of organizational behaviour, the actual hierarchy of a company pops into my head. This idea led me to some thoughts about how information travels in some companies, horizontal, vertically, lattice… and so on. When information flows strictly vertically, there are chances that some issues or concerns from lower levels get blocked from going upwards. This happens because employees are afraid to be the bearers of bad news, as they become associated with the, well for a lack of a better phrase, “negative aura” it produces. I’m sure everyone’s heard of the saying “Don’t shoot the messenger”. This phrase is used in reference to the delivery of bad news, and the negative connotations it brings to the bearer. In early years, it was a common occurrence that those who bring bad news to the attention of authorities, would be held accountable for the problems that they pointed out. In Sophocles’s Antigone this idea is emphasized by highlighting the fact that “No one loves the messenger who brings bad news”. Being human, we tend to be irrational and emotional and as a result we can confuse the source of the problem with the person who brings awareness to the problem. This concept is also seen in the business world, as is referred to as whistle blowing. If we have a term for this concept of wrongly pacing blame on the wrong person, would we not be able to take it into account when hearing bad news? Whistle blowing is when an employee brings awareness to a problem of dishonestly or illegality within a company. In one related article, Robert A. Larmer discusses why whistle blowing is a moral and acceptable thing to do. He claims that “To be loyal to someone is to act in a way that is genuinely in that persons best interest” (Larmer, 1992) and that blowing the whistle is acting in the company’s best interest. He goes on to argue for whistleblowers’ right to call issues to attention, but adds that blowing the whistle internally is the optimal way of going about things(Larmer, 1992). However, another view is seen in Michael Davis’s article Avoiding the Tragedy of Whistleblowing. Davis argues against whistle blowing, as he describes how whistle blowing should not exist at all within a company, as all problems should be addressed before anyone feels the need to blow the whistle. I think a combination of both of these concepts can be considered. Personally, I agree with Davis is the sense that problems should be met with solutions as soon as possible, but if they are not dealt with, and then I think whistleblowers should rightly blow the whistle without being looked upon as being in the wrong for doing so, as Larmer emphasizes (Larmer, 1992). Regardless of whether you believe whistleblowing is a needed component to the successful functioning of a company, or if you feel the problems should be addressed before the whistle need be blown, it is vital to understand the psychology behind whistleblowing, and how we view the whistleblower. By doing so, we create encouragement for bringing problems to light that need to be addressed. Robert A. Larmer(1992). 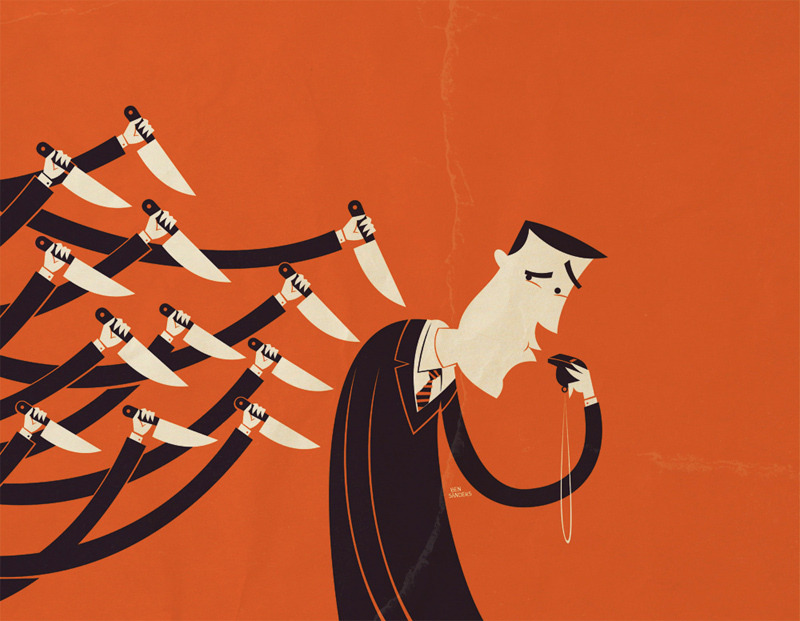 Whistleblowing and Employee Loyalty. Journal of Business Ethics 11 (2).